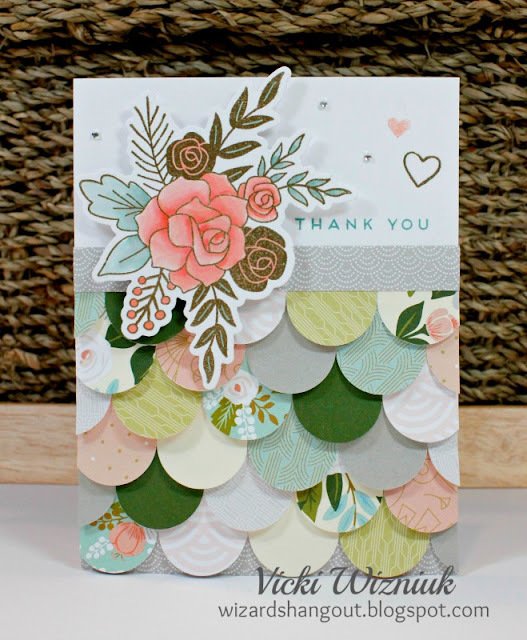 I used the new CTMH Hello Lovely papers, and the Hello Lovely Cardmaking stamp set for this gorgeous thank you card. I just love the look of the layered circles of patterns and colours. Hello Vicki, from Vancouver Island. I've been to Charlie Lake & it is beautiful country up there. This card is just so pretty! It's a wonderful idea that I never would have thought to do on my own. I have a friends birthday coming up soon so may try something similar.